The Society is happy to welcome publishers to exhibit books at the CTSA’s annual convention at the Wyndham Grand Pittsburgh Downtown. 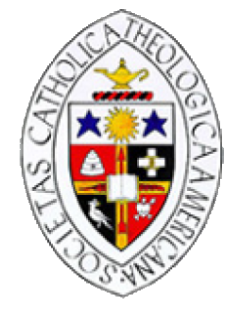 A flat fee of $175 will be charged for each table top exhibit, payable to “The Catholic Theological Society of America.” Advance payment must accompany your request. To order your table today, complete the "Table Purchase Form" provided as a right-hand navigational link on this page. Requests to exhibit will be arranged through the CTSA office. We accommodate only 6’ table-top exhibits. Tables will be assigned in order, as the requests are received; payment must accompany the order. Please note that no signage may be applied to the walls or on tripods. Displays are restricted to the table top display. Requests and payment for any electrical or internet connectivity needs should be arranged in advance directly with the hotel; these expenditures are not included in the exhibitor table purchase. The Wyndham's order form is available on this page in the right-hand navigation links. The CTSA and the hotel assume no liability for books and other materials displayed at the exhibits. The CTSA assumes no responsibility or liability for the publishers’ obligation to obtain a permit to sell or to report sales to government offices for taxation. The exhibit space is located in the ballroom foyer, and exhibitors leave books/materials overnight at their own risk. Set-up of exhibition space will be on the morning of Thursday, June 6, 2019. Exhibitor set-up begins on Thursday, June 6, at 8:00 a.m. - 12:00 p.m.
Thursday, June 6: 1:00 - 7:00 p.m.
Friday, June 7: 8:30 - 4:30 p.m.
Saturday, June 8: 8:30 - 4:30 p.m.
Sunday, June 9: 8:30 - 11:00 a.m.
Exhibitor tear down begins on Sunday, June 9, at 11:00 a.m. The CTSA will include ads in the convention program. Interested publishers may purchase full-page ads. See the right-hand navigational link on this page for further details. In response to exhibitor interest, the CTSA is coordinating a CTSA/Exhibitor raffle. Exhibitor participation in the raffle is optional. For exhibitors who will participate, a donation of a book--winner's selection--within a predetermined price range set by the individual publisher, is requested. Attendees will have the opportunity to visit publishers to obtain initials from the exhibitors at the opening of exhibitor hours on Thursday and end on Saturday morning, with the start of the morning plenary. Winners' names will be posted by noon on Saturday and participating exhibitors will be notified of the winners' names. Sign up to participate on the exhibitor registration form! Note: The CTSA is participating in the raffle by offering (1) complimentary convention registration and John Courtney Murray banquet ticket for the 2020 annual convention to be held in Cleveland to a registered attendee who participates in the raffle. Should be made directly through the Wyndham Grand Pittsburgh Downtown Hotel at (412) 391-4600 or on the CTSA convention website requesting the CTSA convention rate of $155++ per night. The hotel will accept only pre-paid packages. Due to limited storage space boxes can be accepted (3) working days prior to the event. Contact the hotel direct to obtain pricing for shipping related expenditures. For further information or assistance, please contact me at 440-360-0816 (2872) or by e-mail, ctsaed@gmail.com. I look forward to welcoming you at the convention.